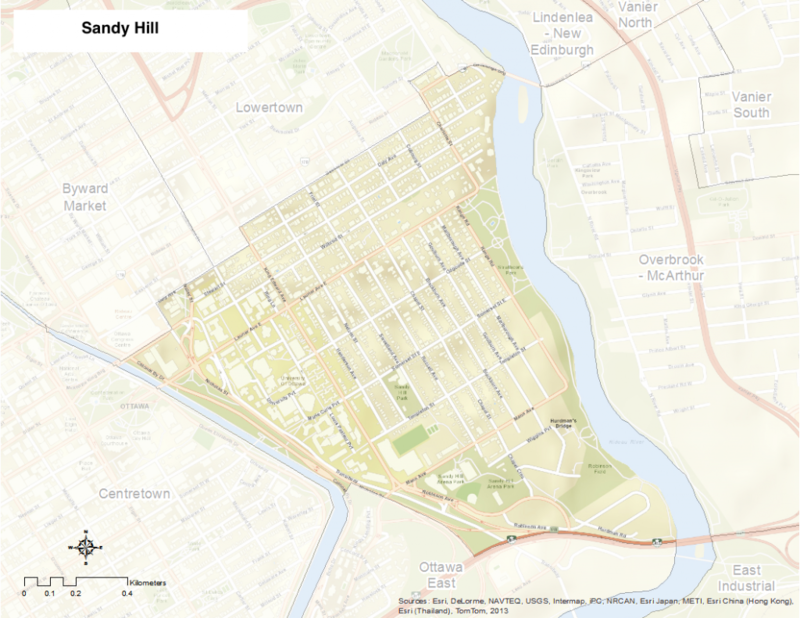 Sandy Hill is bounded by Rideau-Besserer-Daly Avenue on the north, both Highway 417 and Nicholas Street to the south, the Rideau River to the east, and the Rideau Canal to the west. This neighbourhood includes the community of Strathcona Heights and the University of Ottawa. As a residential community, Sandy Hill dates back to the 1870s and was the wealthiest and most prestigious neighbourhood in the Ottawa area up until the early 20th century. Some of the neighbourhood’s notable locations include Laurier House, the residence of Prime Ministers Sir Wilfred Laurier and William Lyon Mackenzie-King, and the house of WWI ace Billy Bishop, which was later inhabited by another Prime Minister, John Diefenbaker. The University of Ottawa Campus was established in 1848 on land donated by Louis-Theodore Besserer. However, the university had been originally situated just north of the Byward Market six years earlier in 1842 before moving to its current location, straddling the Rideau Canal south of Laurier Ave.